Back in August, developer Enhance Games announced that Rez Infinite (2016) would launch on Google Daydream “later this year.” With little forewarning, the futuristic action-shooter is now available on Google Play for Daydream-compatible smartphones. 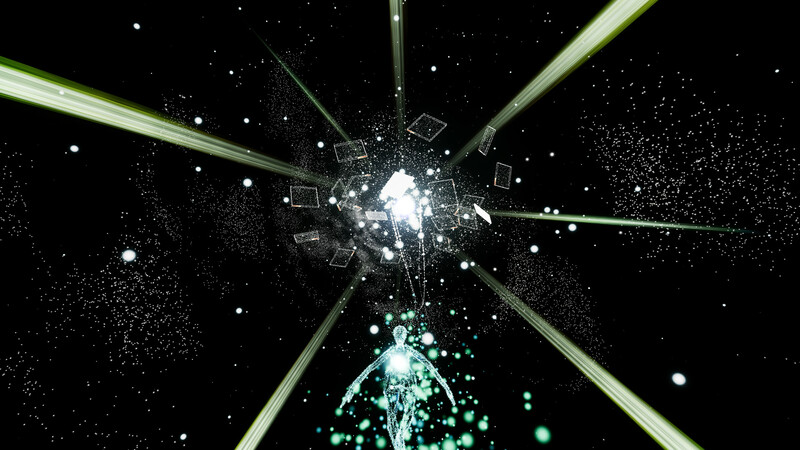 Update (11/22/17): Rez Infinite just dropped on the Play Store. Check it out here. While you can download a trial version of the game for free, you’ll have to pay to unlock the full game. Daydream Ready Headset & Controller is required to play. 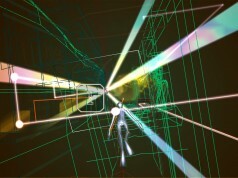 Original article (08/11/17): Enhance Games had a surprise launch of Rez Infinite on PC this week, bringing the remake of the famed 2001 Rez to the platform following the game’s initial 2016 launch on PS4. The PC version of the game is claimed by the developers to be the “best version yet,” thanks to enhanced graphics and VR support for the high-end Rift and Vive headsets. 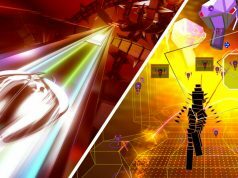 Experience 360 degrees of mind-blowing synesthesia as you blast your way through waves of enemies and massive transforming bosses, with your every move triggering colors and sounds that sync and blend to the beat of the legendary techno soundtrack of Rez. 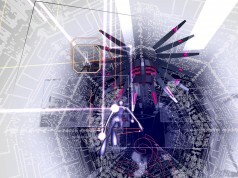 […] Rez Infinite must be seen—and heard—to be believed. You can watch the PC launch trailer here to get a sense of the gameplay. Details on the game’s Daydream release are extremely limited at this time; yet to be announced is the price, specific release date, and exact control scheme (whether it is head-aimed or possibly makes use of the Daydream controller for motion input). Our expectation is that it will be the full game—including the new ‘Area X’ which was added for the remake—with visuals optimized for mobile performance. We’d also expect the mobile version to be priced lower than the $25 PC pricetag. We’ll relay more as further details are released. Played the original on Dreamcast 15 years ago, can’t wait to try it on Daydream!